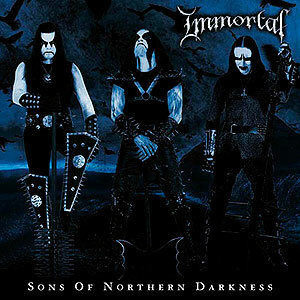 Deluxe edition in CD+DVD of the 7th album from '02 of this mythic norwegian Black Metal band. The DVD includes a show from New York in 2003. 2th album of this legendary australian band. It's a double CD where the 1st one is more Rock roeiented and the 2nd is more Grind. There's a 3rd CD only available vie download from their website only for those who get this album. if you're fan of this band, don't miss this great work! !